Now he drinks the immortal nectar above. 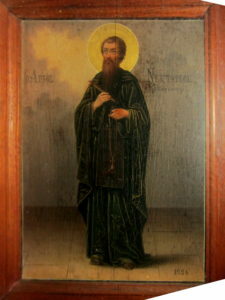 The homeland of the venerable Nektarios was in Monastiri (Bitola) in Macedonia, and he was born in 1406 with the name Nicholas. His mother, before a raid of the Hagarenes, beheld the Most Holy Theotokos in a vision warning her to flee in order to escape capture, so they fled to a mountain. Then the father of Nicholas, with the consent of his wife, took his two boys and went to become a monk, where he received the name Pachomios at the Monastery of the Holy Unmercenaries, which was located at the foot of the mountain where they hid. Then a certain monk named Dionysios Iagaris, who belonged to the Cell of the Archangels near Karyes of the Holy Mountain, took Nicholas and brought him to Mount Athos. There he became a monk and took the name Nektarios. He then clung there to his spiritual father, Philotheos, who had the gift of clairvoyance. Since then Nektarios began an enviable ascetic life, with rare virtues that made him known throughout Mount Athos. 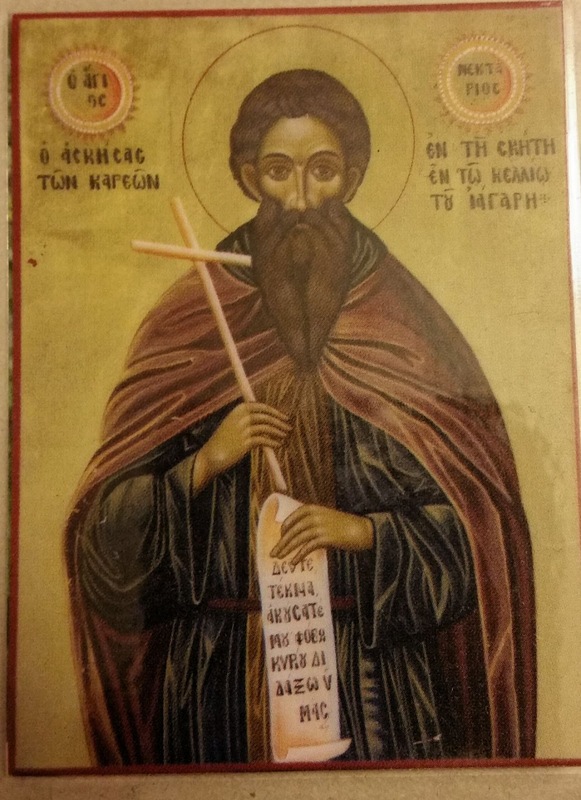 Many times Satan wanted to cast him into sin through the envy of his fellow ascetics, but Nektarios with the grace of God and his great humility, succeeded in facing these trials. He was distinguished for his charity. Any money he obtained from his handicraft was distributed to the poor. The venerable Nektarios reposed peacefully on the 5th of December in the year 1500.